My publisher sent me a bottle of plonk to celebrate the launch of my new book today. I’m very grateful. I’ll make a dent in it later, maybe sooner. 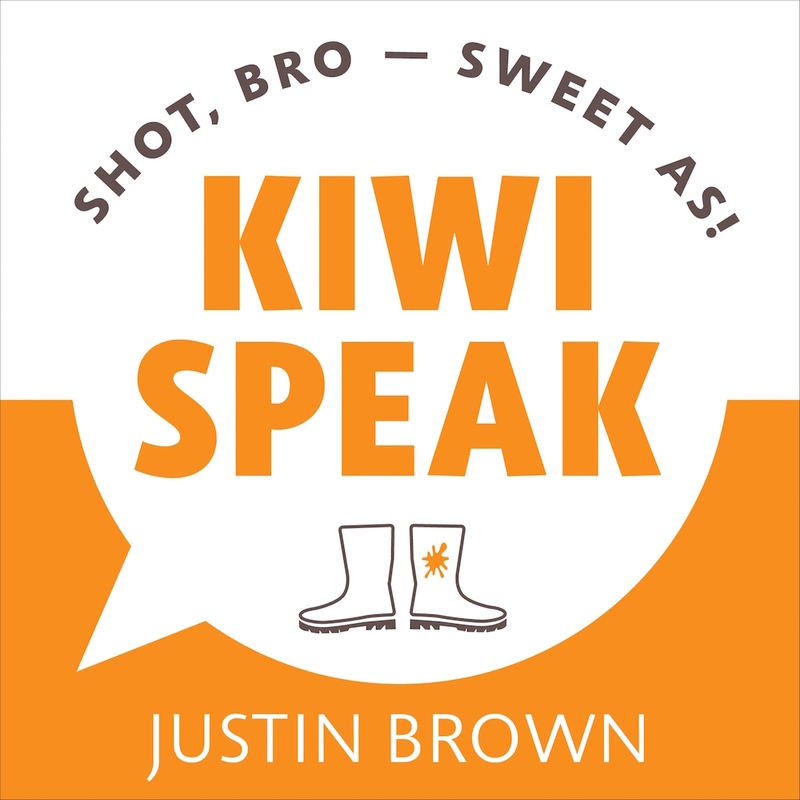 This new version of ‘Kiwi Speak’ is upsized and updated. The original (with a grass-green cover) came out ten years ago and somehow wrangled its way into homes all over the country. And it fits nicely inside your handbag, which I’m told is a bonus. A lot has changed in our little country in the past decade. Along with the chapters ‘Mum Speak,’ ‘Dad Speak,’ and ‘Nana Speak,’ are newbies ‘Skuxx Speak,’ ‘Street Speak,’ and ‘School Speak.’ Like many Kiwis, I’m inspired by Taika’s movies, Lorde’s songs, random youtube clips posted by downhearted skaters (‘Nek minnit’) and loveable hooligan country kids (‘Eat some ice creams do some bombs!’). This time around I dedicated the book to the late Murry Ball and John Clarke, two Kiwis who shaped our country with their words and ideas. If it weren’t for your gumboots where would you be? Who knew this book would survive two Rugby World Cups and be celebrated ten years later with an upsized, updated edition. Might have a hoon on my durrie to celebrate. At the blue light disco. 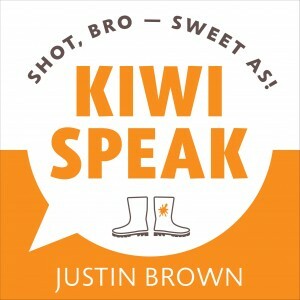 Before it hits the shelves you can pre-order Kiwi Speak from Penguin Random House or Mighty Ape. 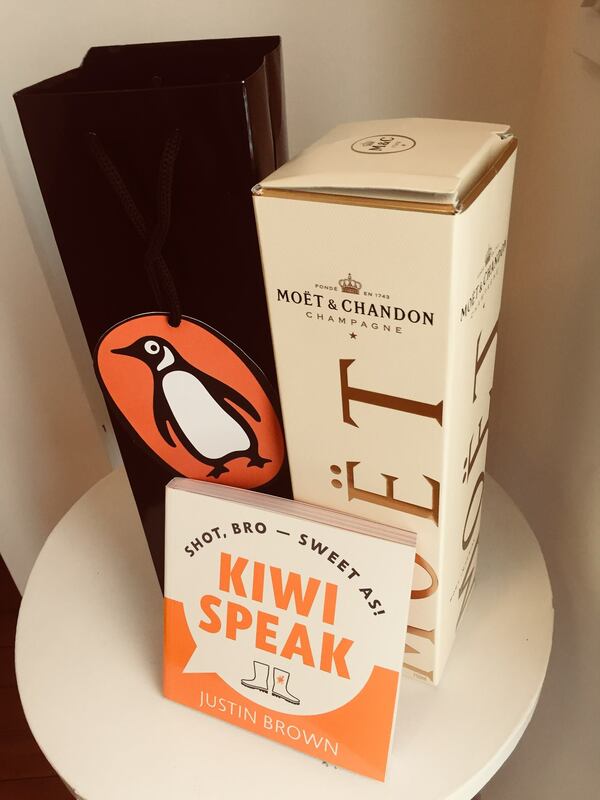 If you want to speak with the author (ME) please get in touch with Jerome JBuckleigh@penguinrandomhouse.co.nz who is taking care of publicity for the book. Meanwhile, here’s Kiwi Speak’s intro.